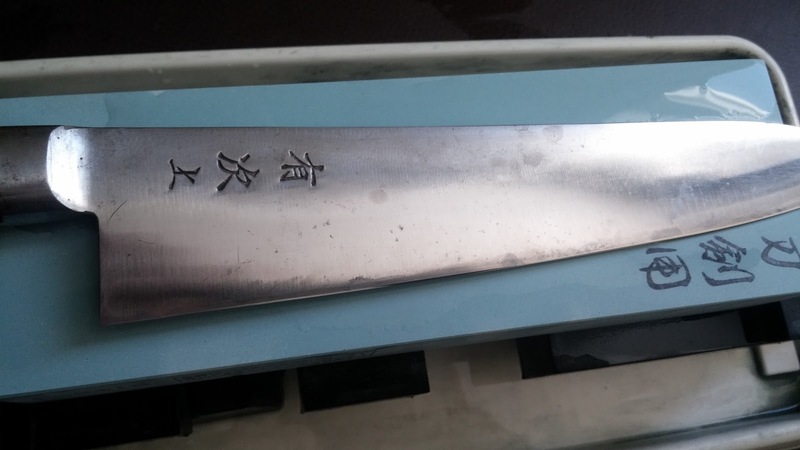 Knife Sharpening Using Traditional Methods: How long does it take to sharpen a knife? 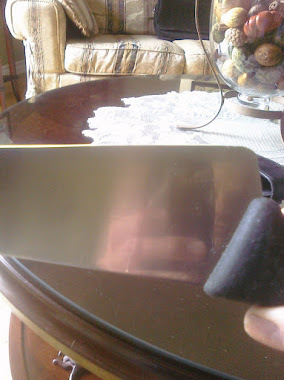 I am often asked how long it takes to sharpen a knife. Most folks have no idea of how the process works which is totally understandable. 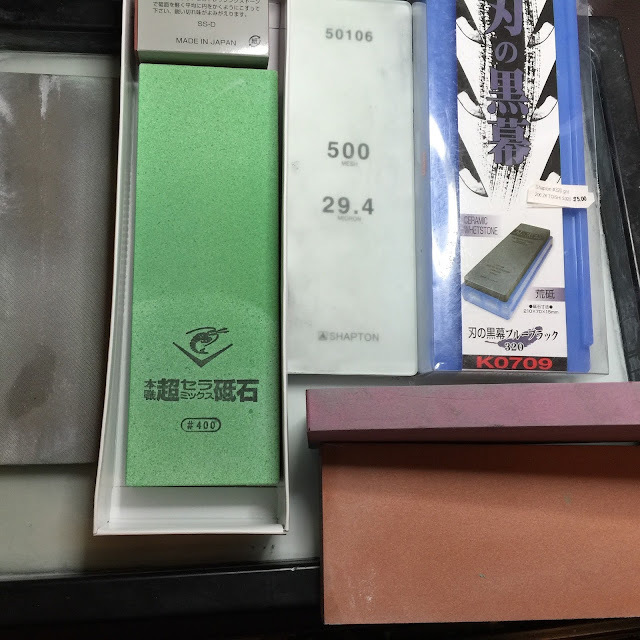 It takes me about 15 minutes from start to finish, this includes a quick inspection of the edge for nick, straightness and to choose the stone combination. This is the case for most dull knives that are just dull. Repairs add some time naturally. The timings only become a factor when I am not sharpening at home. If I am on site at a restaurant for example, I always ask for a spot that is out of the way, a place I won't feel rushed. 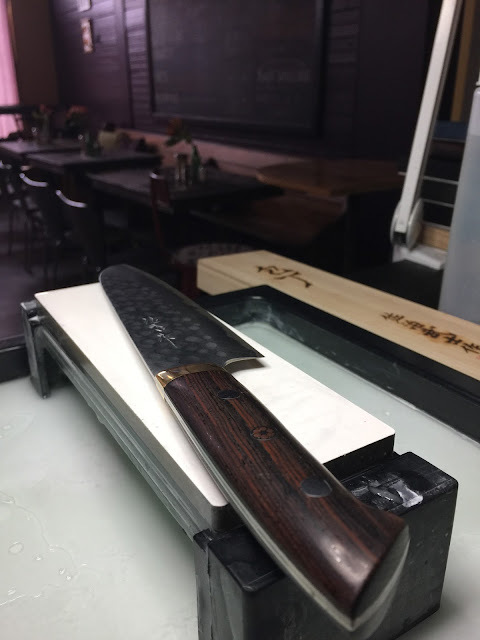 The Chefs and Cooks I sharpen for on site are all fantastic, they appreciate what I do and once they see how I do it, any pressure about "getting the knives done quickly" is my fault, pressure I place on myself. When I first started sharpening as a profession I was taking longer on the knives and that's okay. Don't think of the 15 minutes as a deadline, if it takes you 45 minutes that's awesome. Patience is really tested at the burr forming stage, this is where the most important piece of the process happens so be patient here. I would say that on average I spend about 3-6 minutes forming a burr. Naturally this can vary, I have spent 15 min at this stage but as I said, it is the key stage and burr formation on both sides is where sharpness begins. Once the burr is formed, you just need to remove it with your finer stones and if you are only using one stone, a 1k for example, just manipulate pressure, keep lightening up on the pressure until the burr is gone. 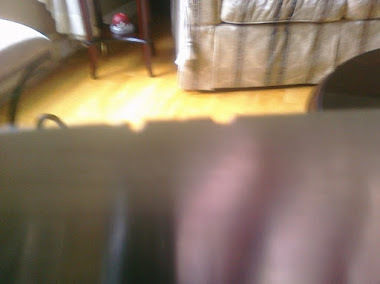 Now you could finish off on a leather strop to do that as well, remember, a clean edge is your ultimate goal, clean as in in free of any metal debris. Again, it takes ME about 15 minutes, if it takes you 5 minutes or 45 minutes that's cool. 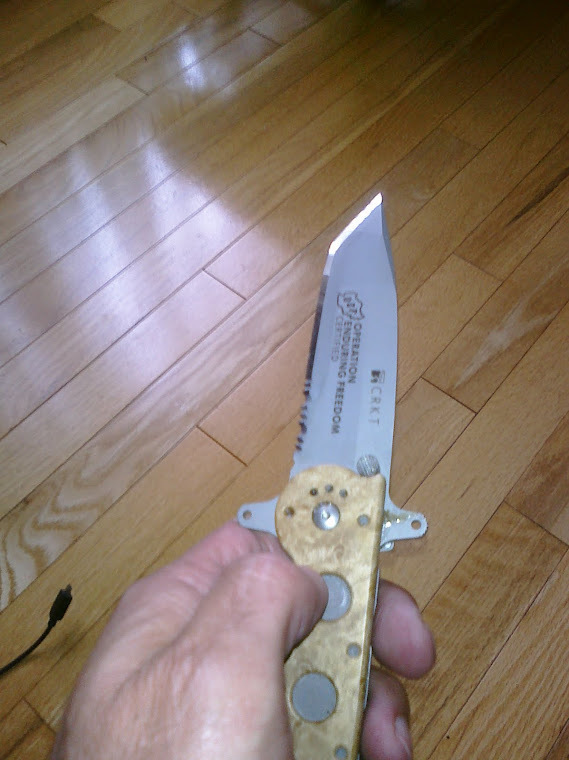 I sharpened at a restaurant recently, this is the owners awesome knife.